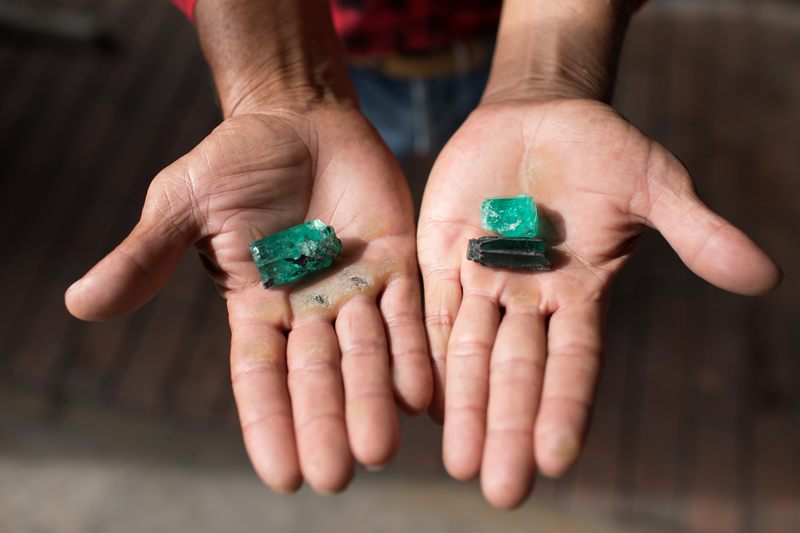 Rough is the natural state of emeralds before they are polished, rough emeralds normally crystallize in a hexagonal fashion, sometimes more random patterns emerge often called “floaters”. Many of the world most notable emeralds are stones still in their rough state. These include the Devonshire Emerald and the Itoco Emerald. With such unique pieces it is often the case that they are so rare such stones are worth more as rough specimens than they are if they were to be fashioned into polished stone.